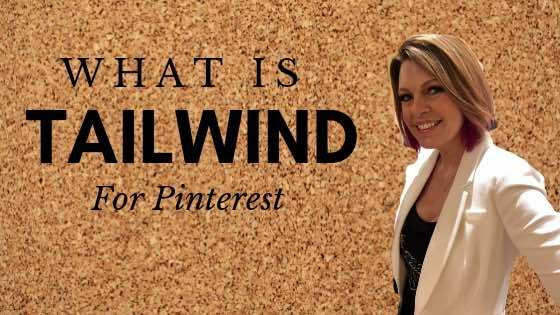 Home » Blog » Pinterest for business » What is Tailwind? Tailwind is a development tool for Pinterest; however, it is more than just that as it is an all-in-one marketing toolkit. Tailwind Tribe is an online community consisting of bloggers and influencers sharing content in a similar niche. This tool allows you to encounter and grow with other marketers. Share your blog posts to the Tribe and if the Tribemates like the content; they will view and share it to their own Pinterest Boards for their audiences to see. Tribes also help solve the two main difficulties social marketers face daily; that is a regular supply of higher quality content to share and getting posts seen and shared by the right people. Tailwind Tribes comprise like-minded groups of trusted individuals who help each other build their Pinterest reach and traffic. The core of Tailwind Tribes is communal and collaborative marketing. When tribesmen work together they are able to curate useful feeds of content in different niches and at the same time put their content out there to be seen by influencers who reach relevant audiences. They also help each other to find the best new content for their target audience and increase exposure to each other’s content. Most importantly, Tailwind tribes have suitable features that enable collaboration, other share groups lack features such as transparency, clearly outlined rules and accountability so tribe administrators can identify who contributes much to the tribe, and those who do not. This platform also has a native chat interface, which facilitates better communication and collaboration among tribemates. The main idea of Tailwind tribe is for every Tribe member to focus on coming together to contribute and share content as one family with different goals that lead to growing as one. This is why each Tailwind Tribe is established with a main theme or topic. Tribe Members cooperate to guarantee a continuous stream of hand-curated content. If you want to gain by embracing Tailwind tribes, you need to identify the specific tribe you want to join or you can as well create one. Secondly, familiarize yourself with the content shared by other members of the tribe, share most of the content from the tribe to quality boards, and personally add your pins for other tribesmen to share. Furthermore, be relevant and keep all the tribe rules, monitor your google analytics on campaigns to see how they drive traffic, analyze the stats of your tribe to identify which one works best for you. Lastly, avoid joining many tribes at once, you could select a few and evaluate each of them. Quit the tribes you do not get shares from or get any advantage from. Get the best content for Pinterest – using the Tailwind Browser suggestion, you can get ideas on trending content and suggestions. Also, try to keep your boards fresh with recommendations from sources that are relevant, building new Pinterest boards with a guided visual content search could also help get you good content. Other ways of achieving greater content include; searching the visual web for keywords to discover applicable content that is viral and have an advantaged search to help disclose and explore essential trends with precision. Simplify your Pinterest Content in one place – uniting all your images and pinnable content helps simplify your content marketing strategies. You can make this possible through; directly importing your content from google drive or Dropbox, uploading bulk images using drag and drop, creating pins from different sites with the Tailwind app’s Browser Extension and re-using social content from Pinterest and Instagram. Build a personalized content feed – personalizing a content feed makes content easier to follow, find and easier to pin. You can do this by; importing RSS feeds and scheduling promising pins without necessarily leaving Tailwind, filtering your feed for content on specific topics, sorting out viral content to figure out what is trending and the new posts. In addition to all that, you can gather content from all your favorite sites in one customizable stream to enable you to curate at a glance. Streamline visual content management – you can achieve this by simplifying your content marketing workflow with a visual library which unifies all your favorite sources in one place, add content from every site you browse and upload directly to your Dropbox or Google drive. Lastly, combine your branded content with recommendations from sources across the web. Learn the best of chromatic web – you should discover content, which is trending for your social media. Find good content for Pinterest, customize your Pinterest content feed, use keywords to quickly discover content that is relevant and identify shareable content that has not been seen by your audience. Using some User-generated content on your Instagram will help market your content even more. However, you must first find content which best represents what you intend to communicate and what you represent, secondly learn from the user content different angles concerning you that you may have not embraced before and lastly connect with relevant brand ambassadors and influencers and if possible create partnerships with them inside Tailwind. Acquire rights to use customer photos, posting user-generated content will help you maintain the authenticity of your stories and enable better interaction with your audience. Apart from that, acquiring rights to use customer photos saves you time and money; it also makes your audiences happy as they end up feeling flattered when their photos are featured on your brand’s social media. In addition to that, extending customer photos beyond social will enrich content for email marketing, e-commerce, in-store displays ads and many more. For individuals serious about their content marketing in Pinterest, scheduling pins is a very important factor especially for those who have audiences in different time zones. Availability of the tool that enables scheduling of pins on Pinterest facilitates your marketing strategy, increases the number of followers, and brings back traffic towards your blog. easy to start scheduling pins. The moment you browse Pinterest or read some of your favorite blogs and identify an image, you want to pin, click on the schedule button over the image and get it done. There are also options in the draft where you can change the description on your content, choose whether to share it to Facebook or Twitter or select the board to add it to among many other features. The best time to pin is dependant on the audience, board, and each category. Knowing the best pinning time is good for streamlining Pinterest and content marketing. It helps you know the best time of day to pin in order to achieve maximum effort. Knowing your target audience help you know when to post your content. For example, if your target audience is the working class who go to work from Monday to Friday, the best time to reach them will be during the weekends and the evenings. However, if you are targeting stay at home mums or dads, you can reach them mostly during the day when the children are in school and they have less work to do. The Tailwind smart calendar comes in handy when you have audiences all over and in different time zones. Your first sign up to tailwind they will have a bunch of data about the type of content you pin, and when your target audience is most active on Pinterest. With this knowledge, a smart schedule which basically is a calendar of time slots for every day of the week is created for you. The time slots are the recommended time, which is based on your target audience and their analytics. Your schedule is customized by applying insights from over 500 million pins and 200 million boards and you are able to add or remove time slots depending on whether you want to pin more, or less, all through the week. Marketing heavy content on Pinterest is made easier and more effective by the schedule multiple pin feature in Tailwind app. If you have content with loads of images then you can either choose them to go to just a single board or multiple boards. If you choose one board, type the board name in the all boards to add a box area and will automatically populate all your photos. For multiple boards, however, you will have to keep adding names in the same box or from the drop-down menu that will appear. You can as well schedule multiple pins from the Pinterest feed using the same steps. The Interval Pinning feature in Tailwind App lets you set a time period for when each image gets pinned, from 10 minutes to 90 days apart. The real power is seen when interval pinning is combined with the auto-queue, it is only a matter of simply setting it then you forget about it. The best thing about interval pinning is the ability to schedule one image to multiple boards with only a few clicks that take just five seconds. Sharing your pins severally to all the relevant blogs acts as a great content marketing strategy because it earns you additional exposure on Pinterest. Pinning the same blog post to multiple boards with relevant content is important because not everyone follows all your boards. Unless they have clicked on the following, all button. It is, however, advisable to space your pins a little to avoid saturating your followers’ home feed. Pinterest also considers too much pinning over a short period un-ideal and view them as ‘spammy’. This may demean your rankings in the search results and feeds. In essence, you are allowed to clone pins across as many boards as you want. Tracking your content – you should monitor how often pinners pin from your site and be able to gauge potential reach across Pinterest. Manage comments and conversations about your brand, try to improve your Pinterest SEO by identifying common keywords and topics used. Also, analyze trending topics and branded content to help you understand what your customers want. Lastly, make use of image recognition and pixel matching technology to identify which images are popular. Monitor your competitors – benchmarking from relevant competitors and brand followers helps in enhancing your Pinterest strategy. You could also keep up to date with trending topics, and analyze the context of their discussion, while you are at that, try to also identify content trends like effective content sources, best pinning times, and popular interests. Google Analytics may be used for monitoring site referral and even as a social media site monitor. Pinerly is specifically designed for Pinterest, this dashboard enables following and unfollowing of pinners, scheduling of pins on your board, get statistics on that which is pinned involving your brand and get access to popular pins. Cyfe as a program does not only cover single site analytics but also monitors your business and social media profiles for data, and assembles them in a single place for real-time reports. They have a version for free which is a good way to go and decide if you like it before spending any money, this free version also comes with unlimited dashboard and has five widgets. You can monitor your Pinterest activities through Cyfe in two ways; adding ‘Pinterest’ widget to track your pins (followers and likes) and creating an RSS feed of Pinterest. You can get other features like custom branding, real-time sharing, and users for a small fee. Taking the free option is a better idea if you want to test waters to see whether you can like it enough to spend your money on it. Cyfe is one of the few dashboards created by Pinterest as a monitoring preference. Google Reader not only serves to blog subscribing and site updates but also facilitates monitoring social media progress and your brand reputation. Your only job is to import the Pinterest “source” page to your own site and start. Regularly evaluating your activity on Pinterest can help your business identify the best type of content, which resonate on this channel and with your target audience. A successful Pinterest strategy is however not determined by the number of followers your account has. In order to gain access to your Pinterest account’s analytics, carry out verification from the website and from the setting drop-down menu. With this, you will be able to check your stats by clicking analytics. Here are a few Pinterest metrics that are important to measure, how you can use Pinterest’s analytics tool to discover them and reasons why these metrics are actionable. There are many top metrics worth reviewing the performance of your account. You can get them at the site metrics tab of the analytical dashboard. Pins created from the content from your website are important to consider as it notifies you of the average number of pins from your verified website daily. The pin metric helps your business determine whether visual content on your website is fascinating for those who visit your website enough to make them pin to your board. The pin metric shows you when it is time to add more visual content to your web, or time to include beautiful headers on your blog posts the moment it determines your content does not get pinned as much as you had expected. All this is determined by the number of pins your website generates. When carrying out analysis and evaluation, it is important to look at the percentage of variation over a specific period of your choosing in order to comprehend whether there has been an increase or drop in the number of pins generated from your website. This will enable you to establish whether a specific day or week saw more or fewer pins. A rise in pins allows you to link to the addition of visual content and the inclusion of content of a similar nature in the future to encourage more pinning to your website. A fall in pins on a specific day even after adding more visual content to your website, however, would show that the visual content is not resonating with the Pinterest account’s audience. This gives you a wake-up call to get back to the drawing board. Note that you should give your newly added content about two weeks to allow them to gain a grip on Pinterest before carrying out a review on your analytics. Repins are responsible for committing to Pinterest. Repining visuals from other accounts to your board can help your content rise to the front of new Pinterest users who may not be your followers. This is because it is added to their followers’ feeds. Monitoring this repin metric gives your business the daily average number of pins from your website, which is pinned. The number of repins the pin generate from your website aids your business in determining if your visual content is resonating with your Pinterest audience although with pinning followers who originally pinned your content. It is important to get content from your website pinned on the Pinterest nonetheless the next victory pointer is having images repined to other different boards to increase your audience with potential customers and new followers. Determining the average number of people who have seen your pins on Pinterest is a step to further measure the efficiency of your content once it is pinned and refined. Scroll down below the pins and repins to calculate your content reach. This allows you to know the number of people who have seen your content through the pins and your repins. Reach metric is important in understanding how large your content reached your target audience for the purposes of branding and contrast to the amount of traffic your content did or did not drive towards your website. Understanding how many of your audience on Pinterest was driven to your web is good for determining your overall success both content-wise and general blogs. Pinterest attracts better visibility and as a result, more customers and improved sales to your website with time. Looping refers to cycling of content where your own is pinned over and over to the Pinterest boards of your choice. Board boosters log into your account and repin the pins they find to top of the same board and as a result pushing it up to the top of your board and not just into the feed. Tailwind has an interval feature, which facilitates looping of content to various boards. However, unlike board boosters, using the Tailwind smart loop does not require you to later reschedule and watch popular pins when the looping period has ended. Smart Loop permits users to add their most popular pins to the looping schedule and then Tailwind will continue repinning them repeatedly until you do away with the pin from the list. Setting up the loop is one easy method of pinning, but first and foremost you must have a Tailwind account then select Smart Loop, just under the Publisher tab in the dashboard. This gives you a starting point to set up your first loop. Below is the process. Click on the new loop button – and decide whether it is an evergreen (content is good all through the year) or seasonal loop (just for certain times of the year) you are setting up. Enter a name of your choice – at the top and add the boards where you would like your content to be pinned. (Give your loop a recognizable name and ensure it is easier to identify from other loops).This can only happen after you have selected the type of loop you want. Note that there is room to make changes on the next screen if you have selected a wrong name or made a mistake. Select the boards you wish to add your pins too- when selecting the boards, ensure you include the relevant ones first then afterward add or remove boards the according to how many you want when scheduling a looped pin. Relevant boards maximize your pinning exposure and that is why they are of importance. Setting this up makes it your default although. Indicate on the page whether the pin is to be pinned all year long or just for a specific period. The next step is to personalize your Smart Loop schedule – decide the number of times each day you want something from your loop to be shared from your loop schedule, Glide the bar back and forth until you get to the number of your choice. It also considers the number of days you want before the pin is shared to a different board. Decide on the number of days you want to pass before the same pin cycles back or is repeated anywhere onto the board – A minimum of two days is recommended before sharing the pin anywhere on Pinterest. Then click on CREAT LOOP. Smart Loop keeps you constantly active with insignificant effort and thus saving you time. You, therefore, have more time to do other things instead of wasting a lot of hours pinning manually and having to deal with complex spreadsheets. The best thing about the smart loop is that once you add your pins, they are re-circulated indefinitely. Smart loop capitalizes on the potential of your evergreen content in that, aside from importing your best-performing pins, it also puts your idle pins back to work and as a result improve your exposure. Smart Loop enables you and your brand stay relevant throughout all seasons. If you set your loops seasonally then be sure the seasonal loops automatically turn themselves on and off according to the prevailing season so that you always stay relevant by circulating relevant pins at the best times of the year. Smart Loop is easy to set up. Setting up a smart loop is very simple, even repurposing account content is possible. All you need to do is hit a few clicks and save time for your Tailwind workflow. Smart Loop facilitates safe reshare of content with built-in best practices. Re-sharing of content to the boards is safe with the help of smart loop. This is because first, you can see everything you pin with Tailwinds intuitive calendar, personalized limits ensure no one is spams or breaks group board rules, and lastly enables you to know what is working and analyze your performance with detailed stats on every single pin. The great bulk features and shortcuts available in the tailwind app gives you a chance to intelligently schedule pins daily without taking up much of your time. The features save you time as they enable you to accomplish work, which would otherwise take hours within a few minutes. This makes Pinterest management easier and effective. Some smart scheduling ways on Pinterest are listed below. Maximizing your reach – this can be done by creating an Optimal Pinterest Schedule. For instance routinely optimizing your pinning schedule, getting recommended times to publish on Pinterest and Instagram when pinners and target audience are most engaged, scheduling pins faster by adding pins to a queue that is automatically optimized and having unlimited recurring timeslots to help keep your pinning time on the track. Use Simple Pin Publishing Methods – create multiple posts from any web with just a single click with the Browser Extension, automatically create pins from your Dropbox. You could also clone pins across as many borders as possible and even use repins and programs on Pinterest and Instagram respectively. Be Informed and Efficient – reach more people by having catchy and best hashtags in Instagram spontaneously suggested to you by our hashtag finder. Also, ensure to post all your visual marketing content to Pinterest and Instagram from one tool with a single workflow. Tailwind app has a Pin engagement analytical tool that is responsible for tracking Repins and comments over time. Here are a number of ways to ensure good analytics and reporting. Check successes and measure Pinterest ROI – you can achieve this by measuring your followers, engagement levels and analyze virality to ensure your pins resonate. Analyzing Pinterest traffic and revenue with integrated google analytics reports and staying updated on customizable email notifications and reports by allowing free performance summaries in your inbox to ensure you do not miss a beat are other sure ways of tracking your successes. Analyzing and Optimizing Pinterest Content – understanding your audience response to your content helps guide your Pinterest Strategy. Ensure you have knowledge on when to pin based on the time your audiences are most active to help you understand them better. Be updated on what is trending even if they were pinned a while back, identify prospects for improvement and use powerful filtering and sorting features to allow you slice and dice your pin data to uncover insights by the board, keywords, hashtags, source URL among many more. Use Instagram Data – Instagram analytics tool helps you be more effective. In order to understand how your content is performing, measure the Instagram campaigns. Searching for influential followers and eventually connecting with them broadens your audience reach and furthermore it will be easier to maximize engagement if you are able to discover the best times and days to post, and lastly ensure you leverage powerful content insights to highlight what is working and that which is not.